I haven't updated you about a few recent happy pillows in our home. Like some pillows I bought that have breathed life into our living room. And pillows are important, yo. I luuurve turquoise. About as much as I love magenta. 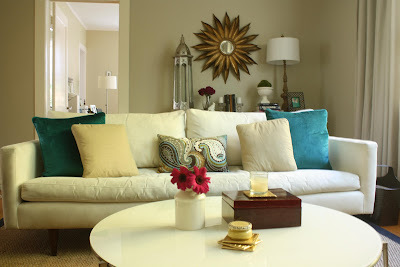 And I've actually wanted some rich turquoise pillows for awhile but they've been hard to come by. I was super-excited to find some at Pier1 awhile back (three-or-so months ago?). And then I found another precious addition at the very same store a month or so ago. 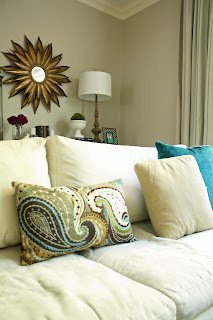 I also adore oversized paisleys, so it wasn't a difficult choice (especially considering pillows are an easy return). It's incredible how much happier I feel when I walk in the door because I bought a few pillows. But then again, I've been holding out for the perfect turquoise pillows for awhile. So maybe it's not so surprising? 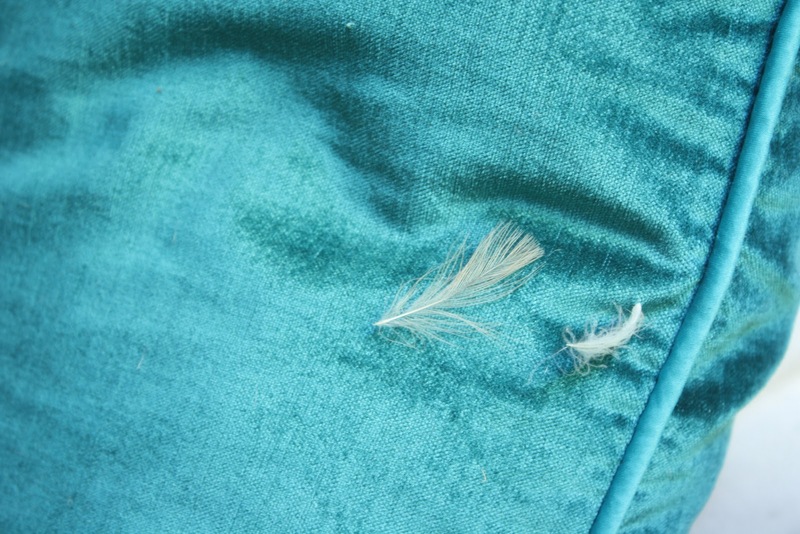 The only thing that's not so happy: the feathers have been coming out like crazy. So I'm going to need some new inserts. Talk to me. Are you a turquoise fan? A pillow lovah? Found any great new pillows recently? Where? SPILL! Love these! I'm planning to do our guestroom with turquoise and burnt orange accents so maybe I'll have to check out Pier One's pillows! HomeGoods and World Market have great pillows! Another favorite spot!